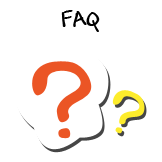 Here are some answers to commonly asked questions. If you have questions that are not answered here, please use the 'Contact Us' form to drop us a line and we will reply as quickly as we can! ToucanLearn helps childminders and parents implement core features of the Early Years Foundation Stage with a host of EYFS linked activities and a Daily Diary for each registered child. Add photos to you Daily Diary throughout the day from your mobile phone, and share it with parents so that they can see what their children are up to throughout the day. What is unique about ToucanLearn? Unlike other preschool activity sites, ToucanLearn offers a learning path for your children. We only present activities aimed at the capabilities of your children. ToucanLearn also offers an online Daily Diary for every child that allows you to record observations and make future plans. In addition to this, every child can be shared to multiple ToucanLearn users allowing parents, childminders, teachers, carers and grandparents all to view the Daily Diary and access activities too! Sign up for free and start using ToucanLearn today. You get access to a selection of our activities. You can register up TWO children (Premium Members can register any number of children). There's a Daily Diary for each child where you can plot their achievements, milestones, and all the things they do that make you proud and laugh! What does Premium Membership cost and what do you get? What are the main aims of ToucanLearn? Formal education doesn't begin until around the age of 5, but the years before that are critical in terms of laying a good foundation on which to build in future years. Our aims at ToucanLearn are to encourage parents and carers to create this foundation, giving the children they work with a head start in life. Our aims are educational, practical and social. We achieve our aims through a learning program of fun craft, games and traditional activities that promote development and education in equal measure. We help childminders implement parts of the EYFS and facilitate communication between parents and carers so that parents can remain informed of the progress of their little ones. Is ToucanLearn suitable for children with special needs? Yes, our Daily Diary is suitable for everyone and as our activities are graded by achievement, any special needs will be taken into account for each individual child. If you have children with special needs, contact us directly and we will ensure that they are started at the right level. What equipment do I need for ToucanLearn activities? Each activity lists what is needed (if anything) on its own activity sheet. Most requirements are household items or things found outside. How do ToucanLearn activities link to the Early Years Foundation Stage? Each activity is graded according to the sub-areas in each of the three prime and four specific foundation stages that it covers. You can pursue any of the activities presented to you, but if you want to cover a particular area of learning, you can search for suitable suggestions. The EYFS information is only available to remiumm Members. How else does ToucanLearn support the EYFS? Parents are able to leave comments in Daily Diary's so we help facilitate communication between parents and carers. Each of these is split into various themes, for more information on these, look at our section on Early Years Learning. What development skills does ToucanLearn promote? ToucanLearn focuses on four main development skills from 0-5 years: Making, Moving, Learning and Speaking. Making: practise fine motor skills to create pictures, models, cards and gifts. Moving: develop gross motor skills to become confident at running, jumping and using the body. Learning: encourage learning and thinking for themselves and about others. Speaking: learn to speak confidently and increase vocabulary. Why do you ask for my child's date of birth? Our activities are initially pitched at children based on their age and the selection changes over time. This information is never shared with anyone. Why do you suggest I add a picture of my child? You can upload a profile picture for each child which is used to customise their activity sheets. Will anyone else other than me see my child's picture? No, photos are only accessible to you. We will never use your private photos for any purpose other than customising your account. You only need a computer to access your activities and use our web service. Although we are fans of the internet and computers, none of our activities are computer based. How much time should I spend on each activity? Most activities can be done in about 10-15 minutes, however, if your child is having fun then keep going! What are the benefits of ToucanLearn? From birth, babies have an instinctive desire to learn. This can be helped by providing stimulating activities that encourage learning. ToucanLearn is a tool to help you maximise your child's potential by providing a structured set of activities that encourage key childhood skills: making, moving and thinking and speaking. Do I have to print the Worksheets? No. If you don't want to print every page, select the pages you wish to print from your printer set-up on your computer. If you don't want to print at all, just use the activity sheet on screen. Do I have to print in colour? No. All our activity sheets work in color or black and white. No, all you need is a web browser and Adobe Reader which is available free. Why do I need to activate my account with the password email? This establishes that you have give us correct contact details and prevents fictitious accounts being created.